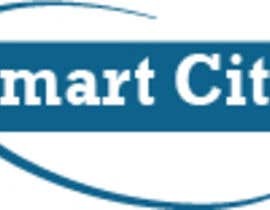 Smart City implementation for waste disposal. 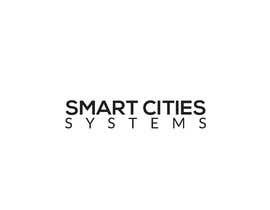 Our companys goal is to elevate the city administrations IT infrastructure to smart city level and get it ready for future improvements. 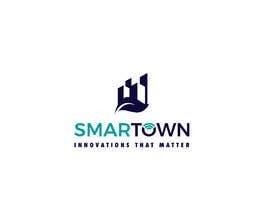 We want to achieve this by implementing small solutions for unresolved issues which will fit into a larger strategy for digitalization of the public infrastructure. 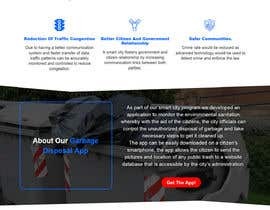 Our first usecase is a public garbage notification app which any citizen can download and install on their smartphones and notice the city administration of public trash,by sending a picture and the location. 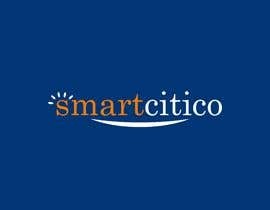 The city administration has an internal website on which all notifications are shown in a GoogleMap together with the picture the citizen has taken and can take on measures to clean up. 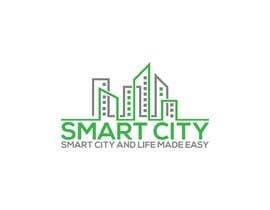 This is the first module in a series of many other smart city administration tools and citizen involvement concepts. 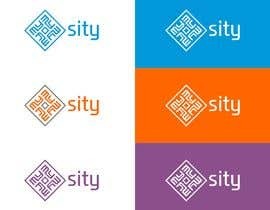 All will be integrated using citysdk, hence enabling other startup companys to leverage public data to serve public interest and improve the citys image as a modern and IT friendly city. 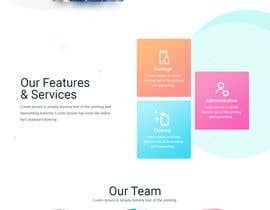 * Landingpage showing our Logo, Slogan, mission, the garbage collector use-case,the team and also a section for references, contact and imprint. 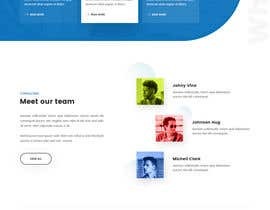 Preferrably in wordpress CMS. 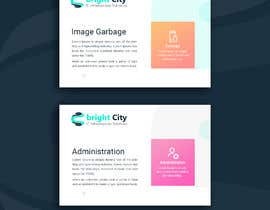 * Powerpoint presentation with some graphics explaining the garbage collector use-case, can be same as in the Landingpage. 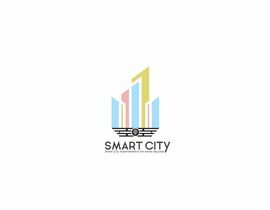 Update 31.01.2019: Please keep in mind that we are looking for a company name, which has several apps/products on the line,a nd which revolves around "smart city". Allthough first will be the "garbage-disposal-app", we are currently looking for a company-name which is not specialized on this one use-case. 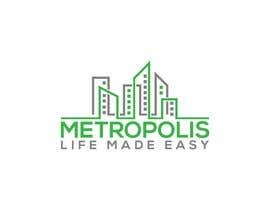 Update 2 31.01.2019: Maybe this would help: The company-name could contain something like "metropolis", "city", "smart", "digital", "polis", "urban", or any other synonyms combining "smart" and "city". 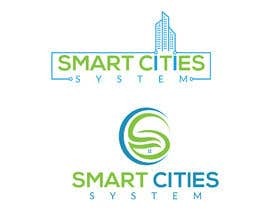 Update 3 31.01.2019: Please: The company name should revolve around the topic "smart city". Not around "garbage disposal". Thank you. Please only submit your entry if you are sure that you can provide all of the above artifacts. Thank you very much for all your submissions. You met AND exceeded all our expectations by far, thus it will be a close call. 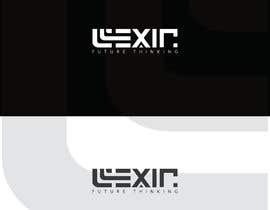 Currently we are reviewing all your entries and try to find the candidate with the most promising combination of Logo, Company-Name and Slogan. So please bear with us for a couple of days or maybe hours. 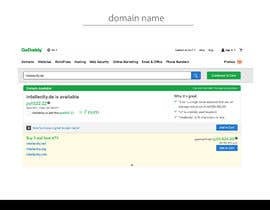 Also Please have a look at the needed artifacts and check whether you are able to provide all of these. pls #251 , #252 Thanks. hi, what is your target audience? 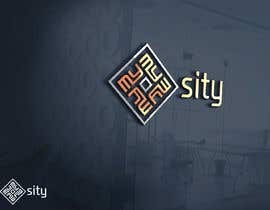 is it a specific city or multiple cities? Hello since we have a lot of clones / duplicates, I will reject now the "extra" submissions, and leave on open for each of those.